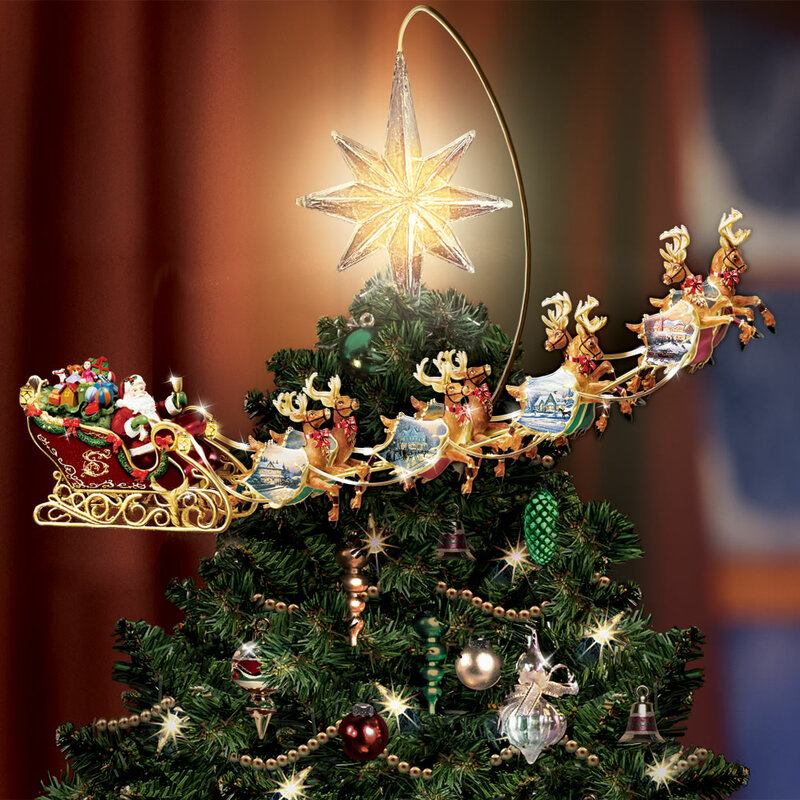 Christmas is the time when all hearts unite to rejoice the birth of our dearest Jesus Christ, and the most important entity of Christmas celebration is the Christmas tree. 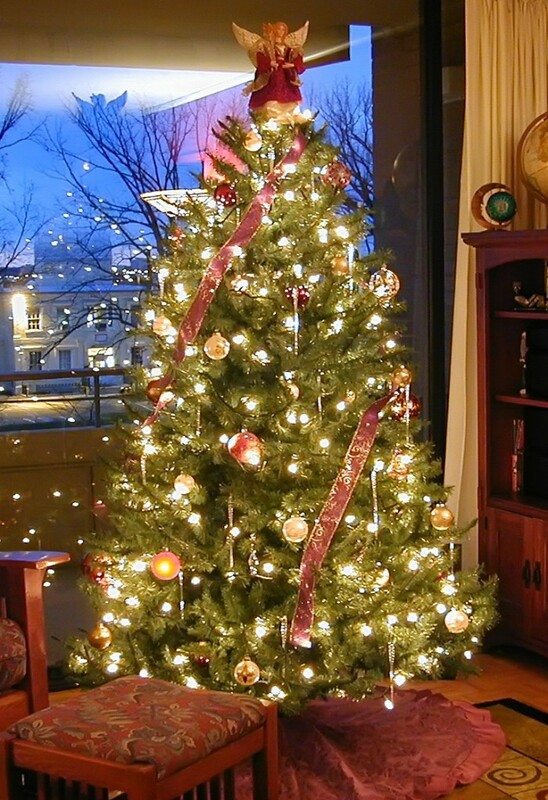 As soon as the festival starts, people begin to decorate their houses with Christmas trees, bells, stars and lights. 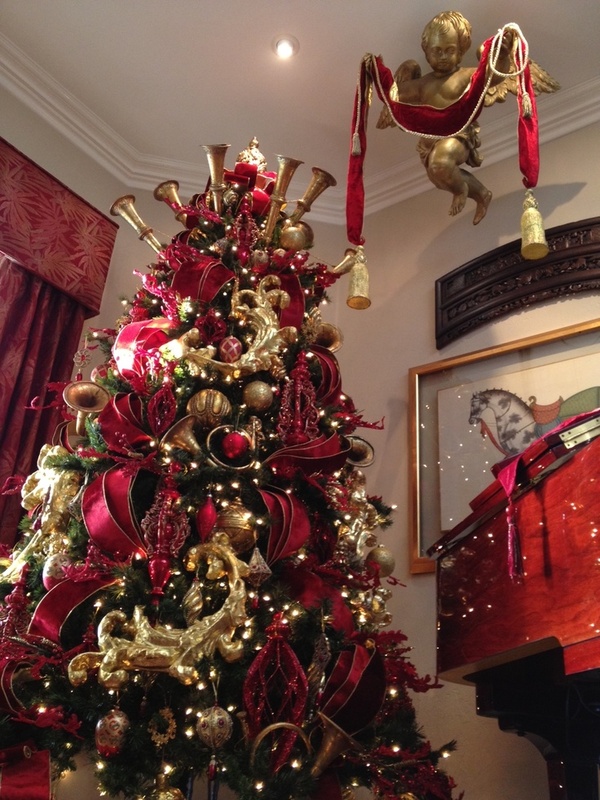 Nonetheless, the Christmas tree is the center of attraction and it becomes very important to decorate it in a very good way, and the tree top becomes a major highlight of the entire show. 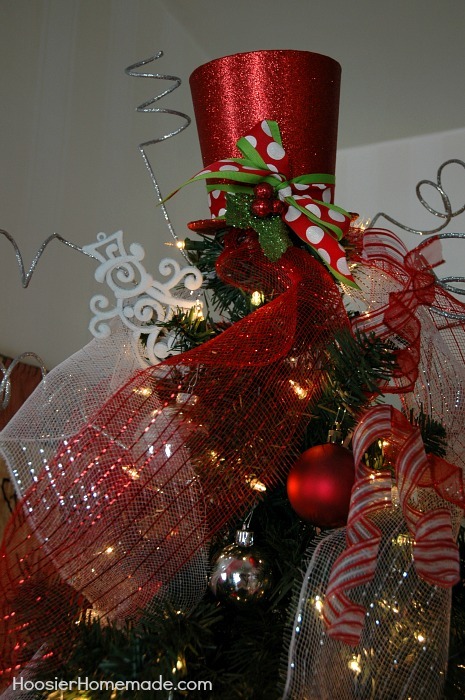 Here are some tree top decoration ideas that will make your decoration look marvelous and captivate the hearts of your visitors. 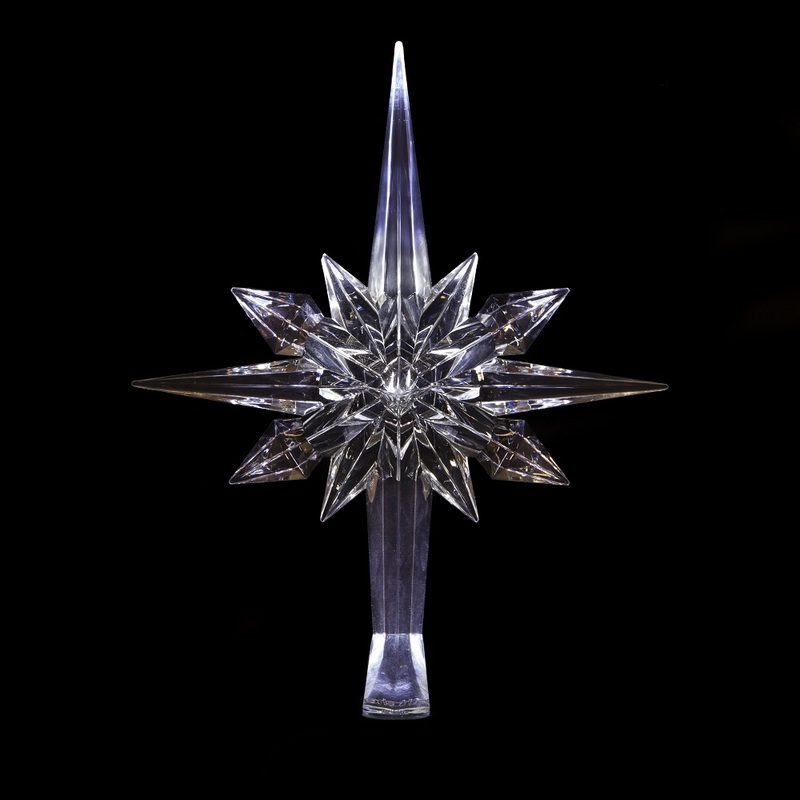 The glass star adorns the top of your Christmas tree in grace and brightness. It enhances the beauty of the tree altogether. 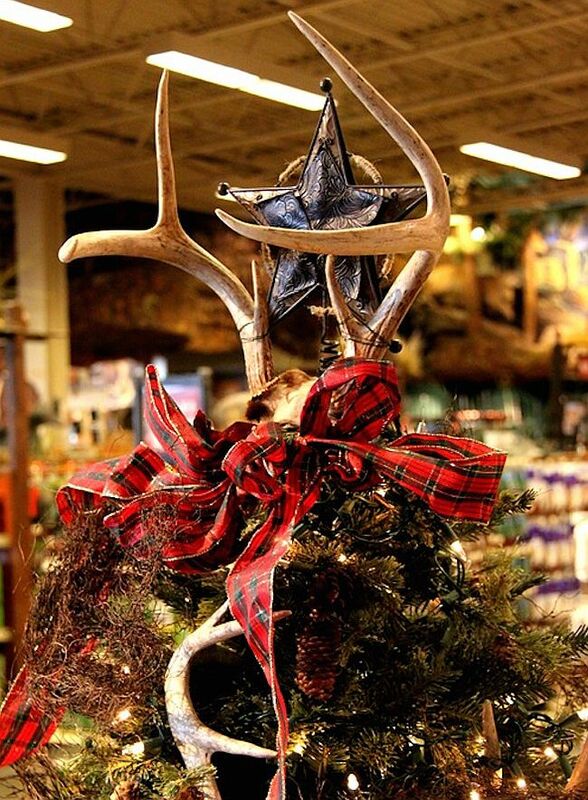 In a small way, this will give you Christmas tree the entire story of Santa coming with gifts on his reindeer. 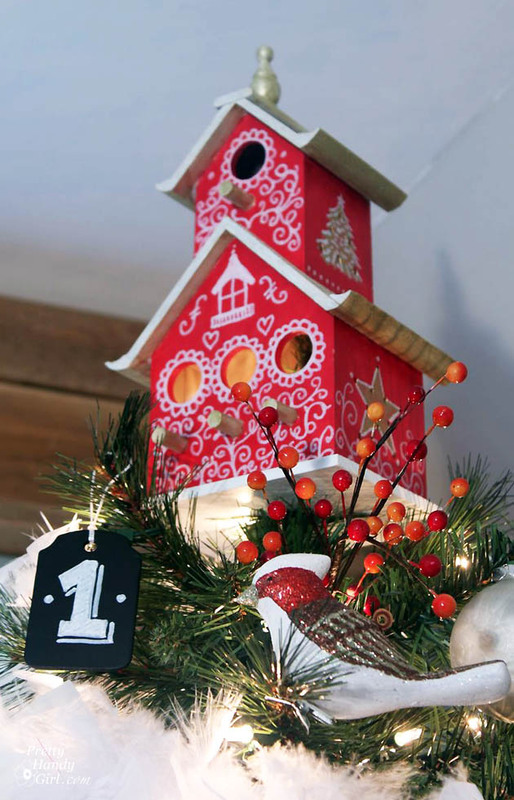 Don’t miss this exclusive tree top decor. 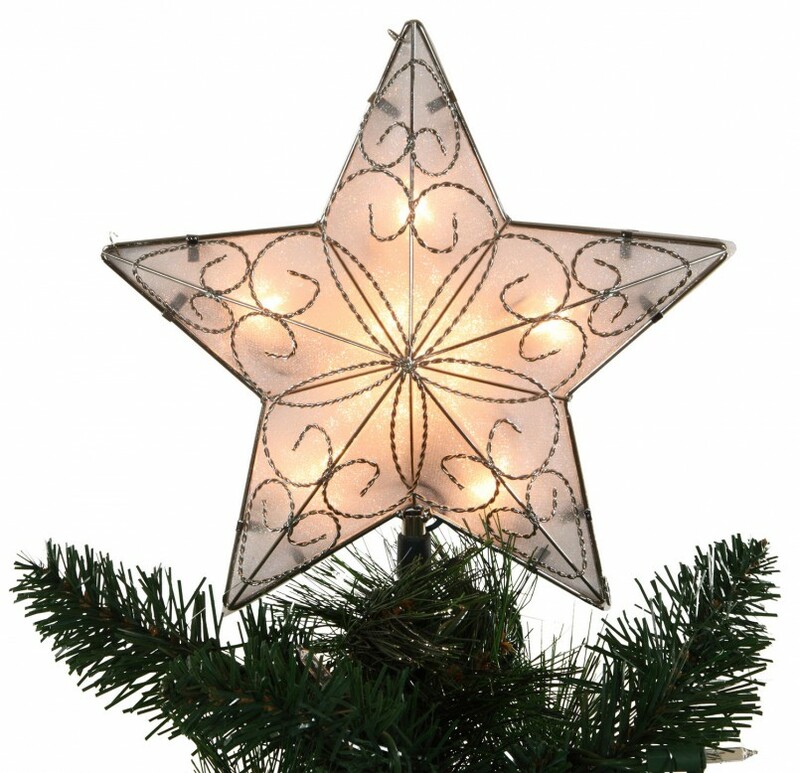 A big lighted star is the best way to attract attention of the visitors. They will not be able to move their eyes off this beautiful decor. 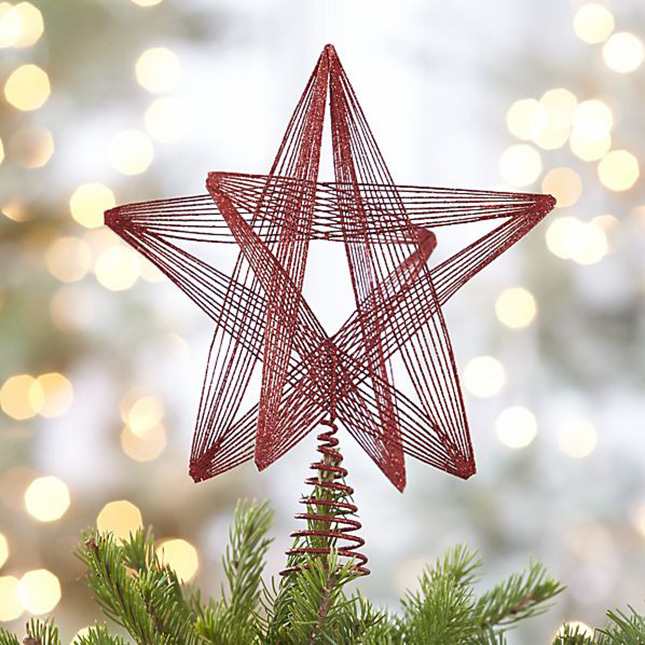 Use you art skills to make this simple yet beautiful star to keep it in your house during Christmas and enchant your visitors. 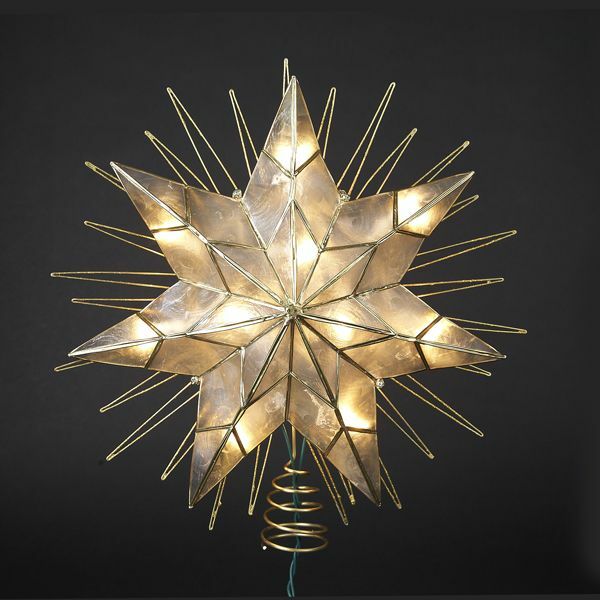 The golden stars are the best way to show the bright shine that the birth of Jesus is associated with. Let them glow and spread love among all. This is sheer display of grace and humbleness. 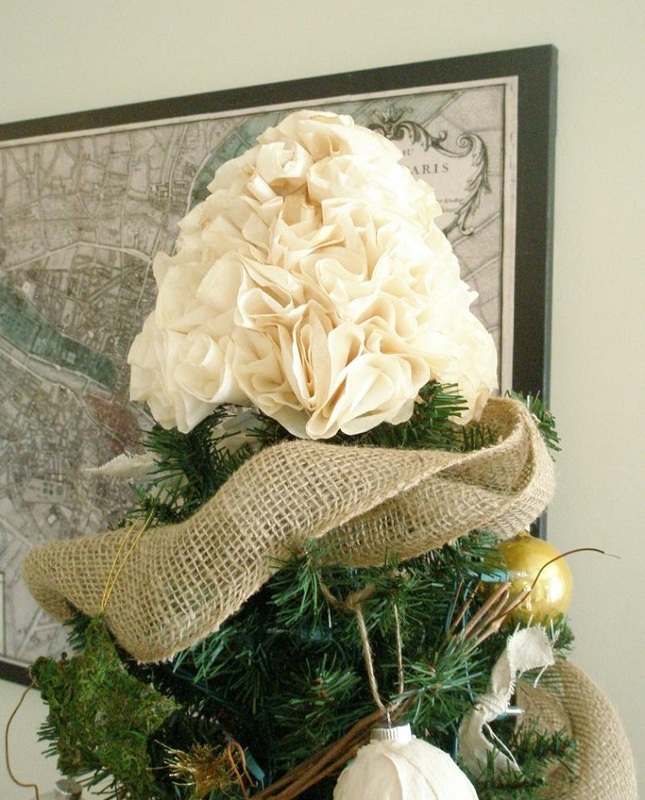 This is in its own way a discrete and lovely way to decorate the top of your Christmas tree. This purple candy look with papers is extremely cute and will stand out to be greatly loved by your young visitors. Use the notes of musical paper and make cones out of them. This will truly be a unique way to display the art. This is extremely graceful and sophisticated. 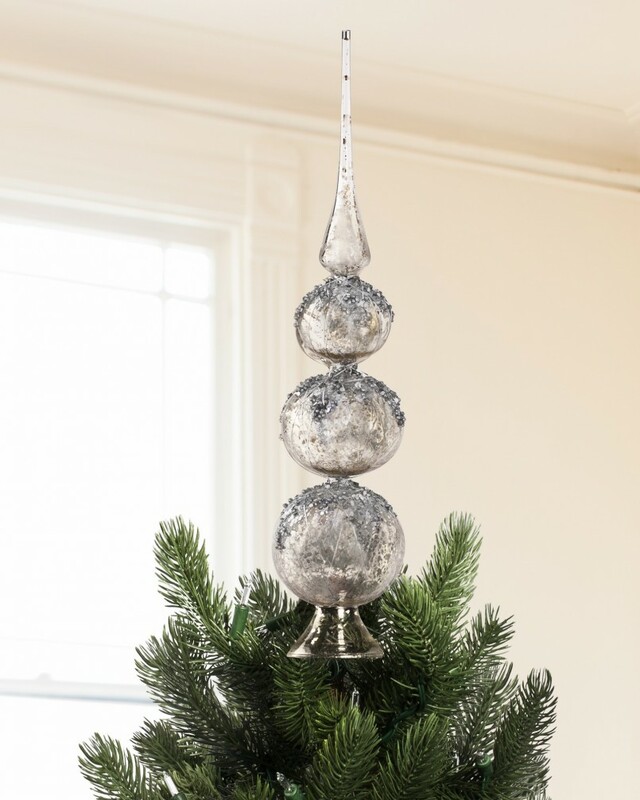 Using these silver balls will make your Christmas tree look beautiful and unique. 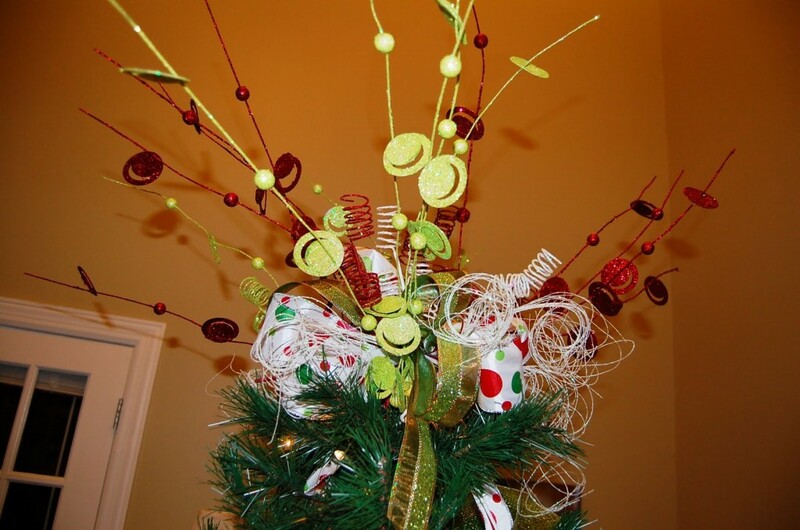 Who could have ever thought that mere strings and springs can come out to be extremely great in decoration, Use it and amaze your visitors. 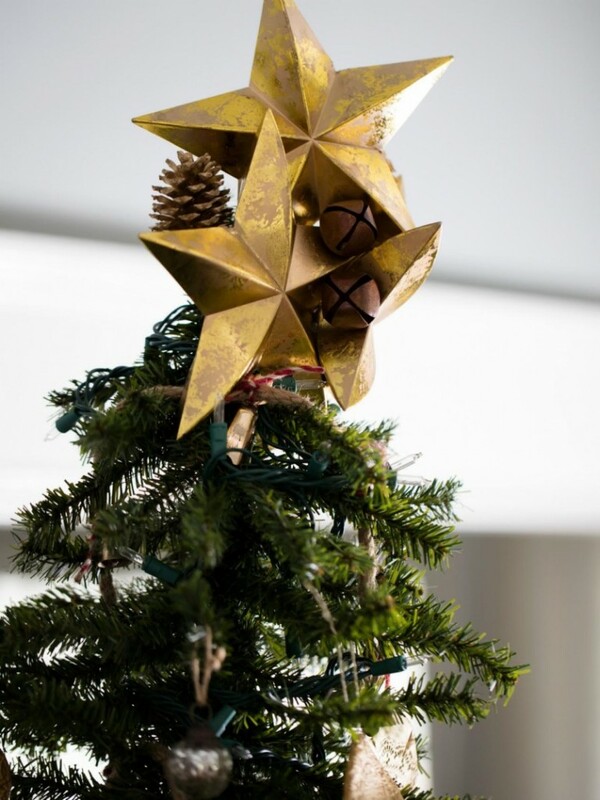 The copper-ish look of the star with its metallic lustre is sure to make your tree top decor a massive success. Give it a try now! 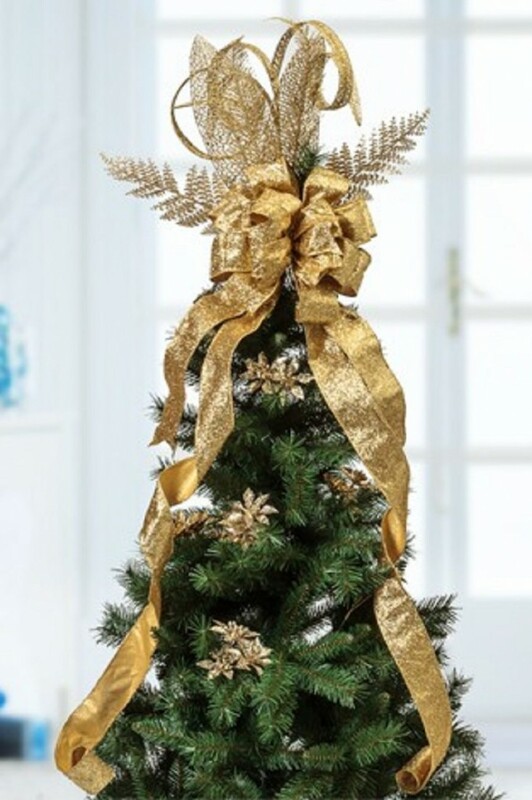 These golden ribbons will make your Christmas tree look extremely sophisticated and dignified and give it the eye-catching stylish look for sure. 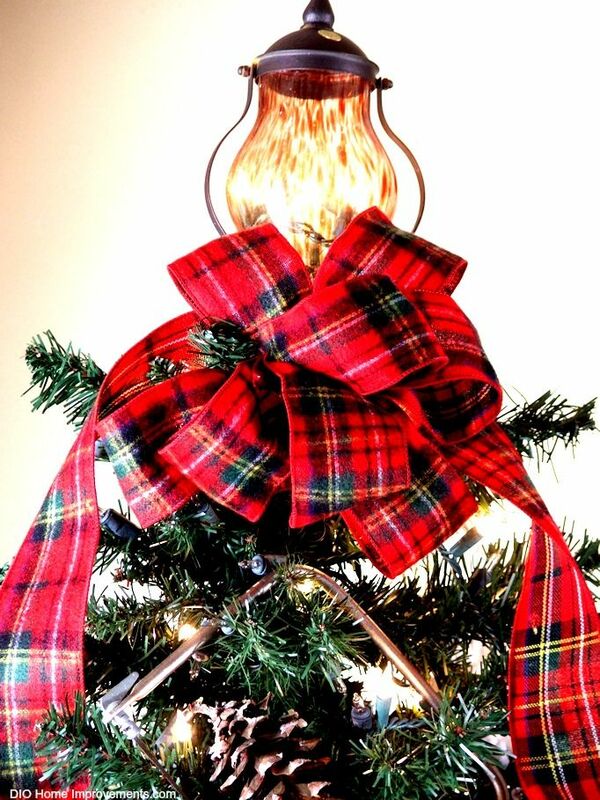 Just like the icing on a cake, use these light satin ribbons to decor the tree top and make it look extraordinary. This is different and unique. 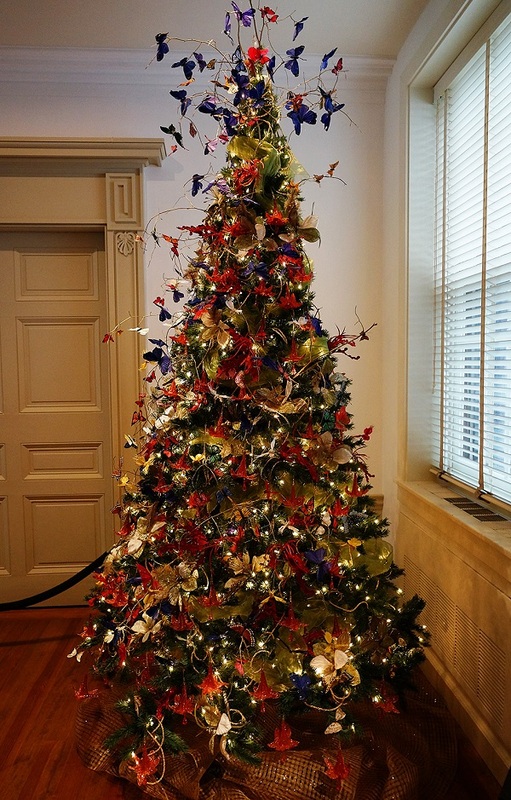 Let these artificial butterflies fly on the top and spread happiness and joy among all. 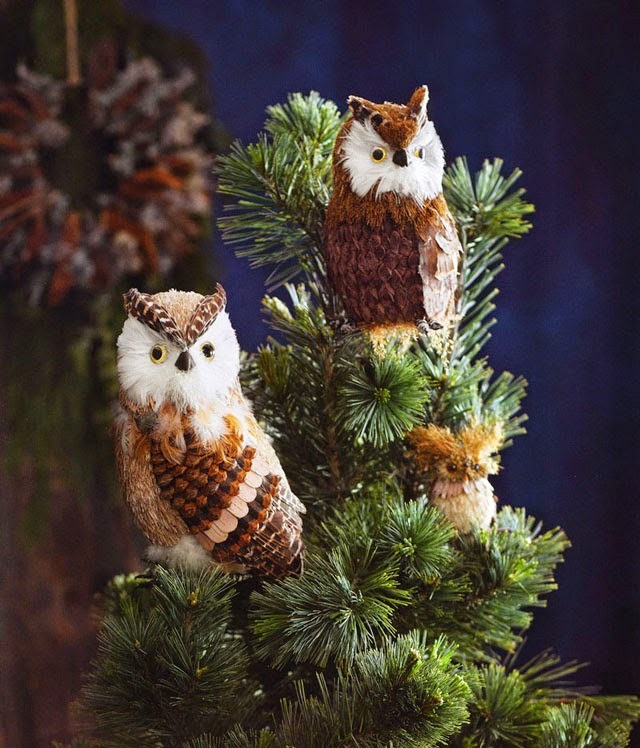 Isn’t it really different to have these owls to look over your Christmas tree and astonish people? Try this, your idea shall flabbergast your visitors truly. How could someone miss the snowman when its Christmas. 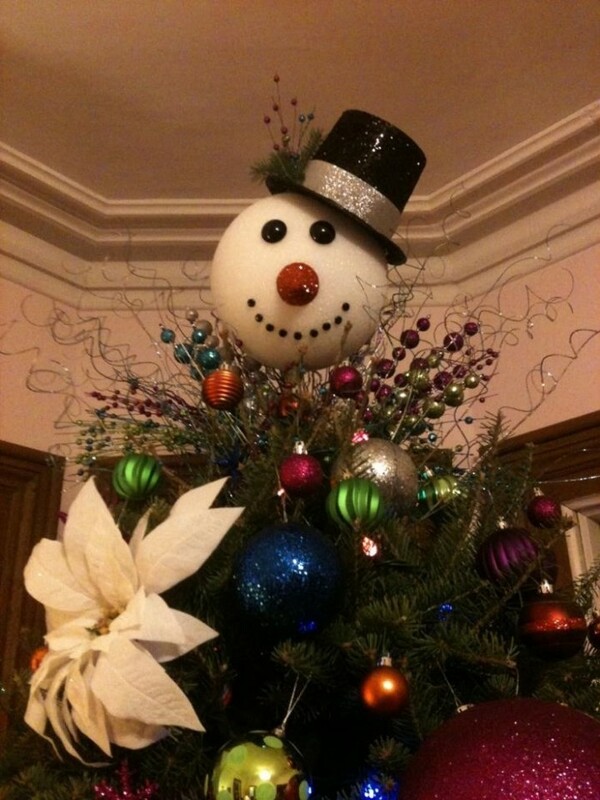 SO there you are with your unique snowman head to top your tree. 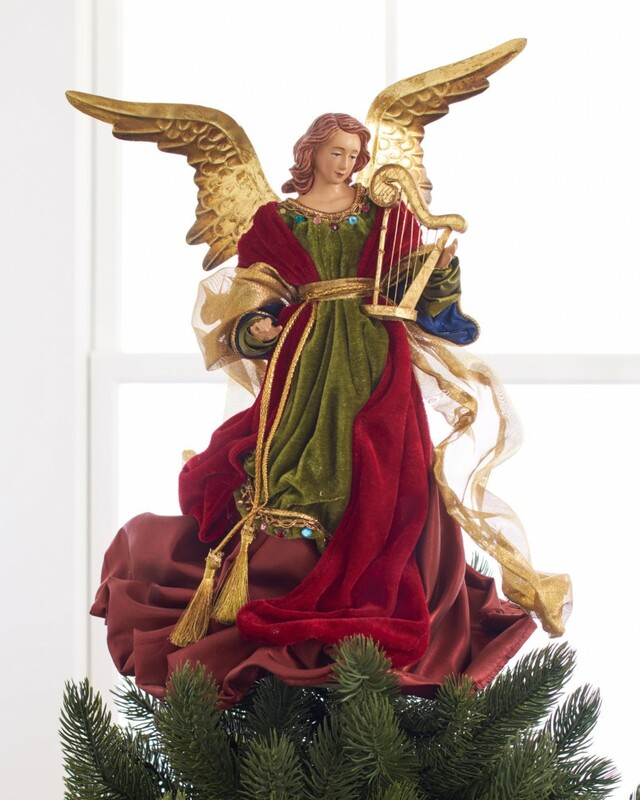 This lovely angel will be a very good way to decorate the tree in your house, as it will suit the occasion and also make you feel blessed. 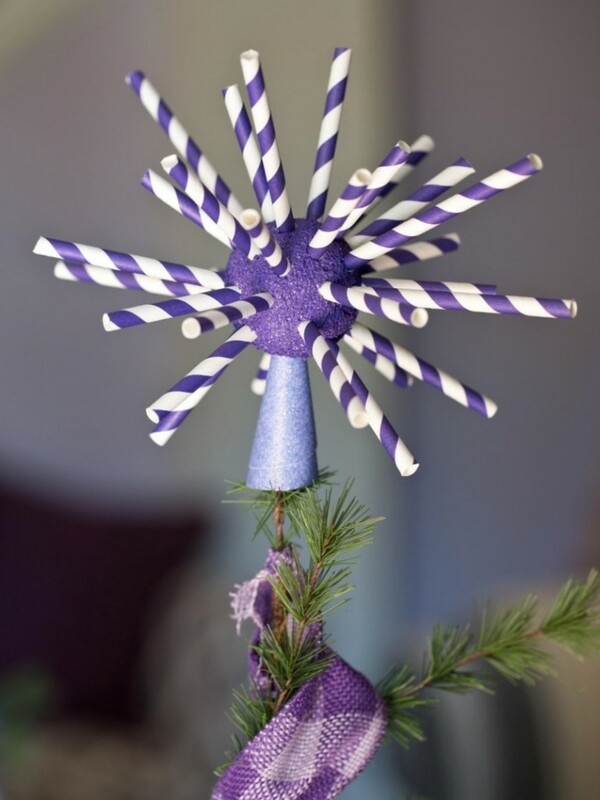 Make these colorful sticks and paste small hats and balls on it. 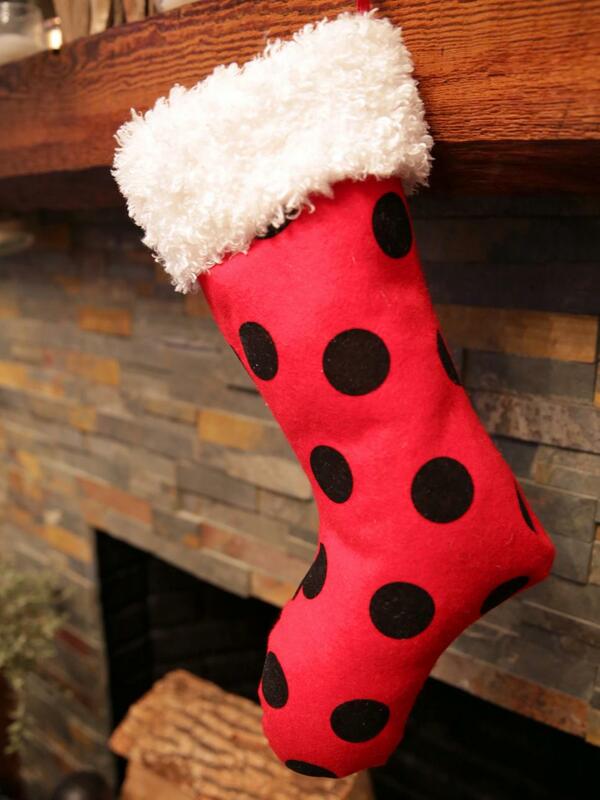 They will look really wonderful as your tree top decor. HO! HO! HO! 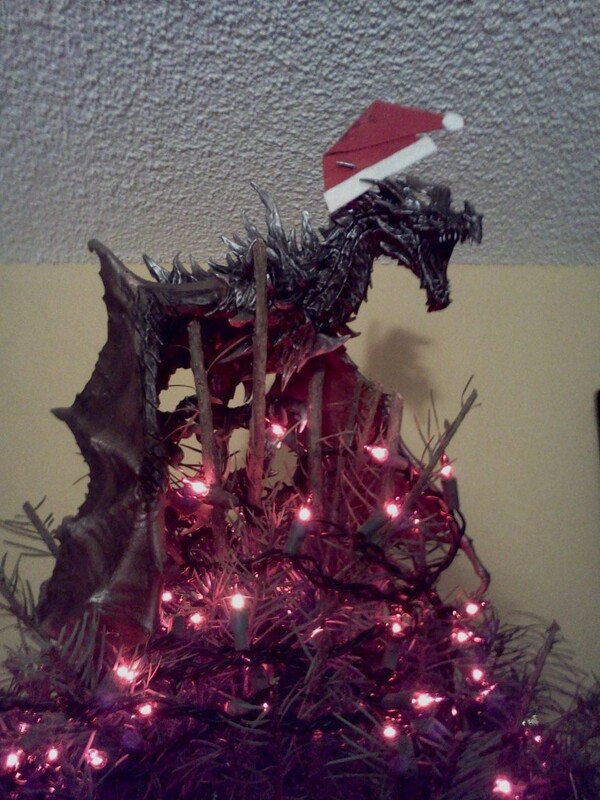 Santa is in town and hence the best way to greet him is to use his symbolic hat as a lovely tree top decoration. This is highly cute and very adorable from a kids perspective. 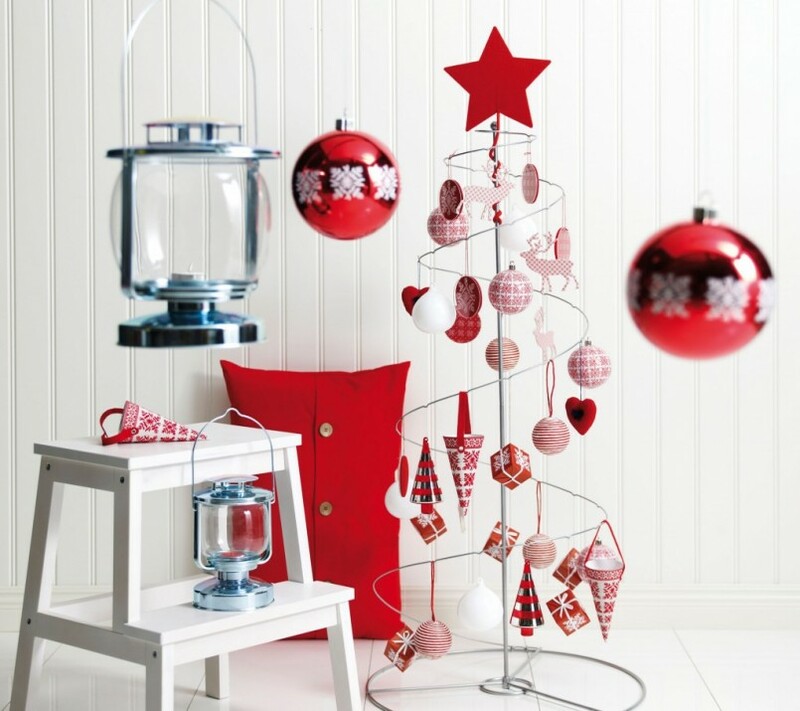 Make this your tree top decor and fascinate all young visitors. 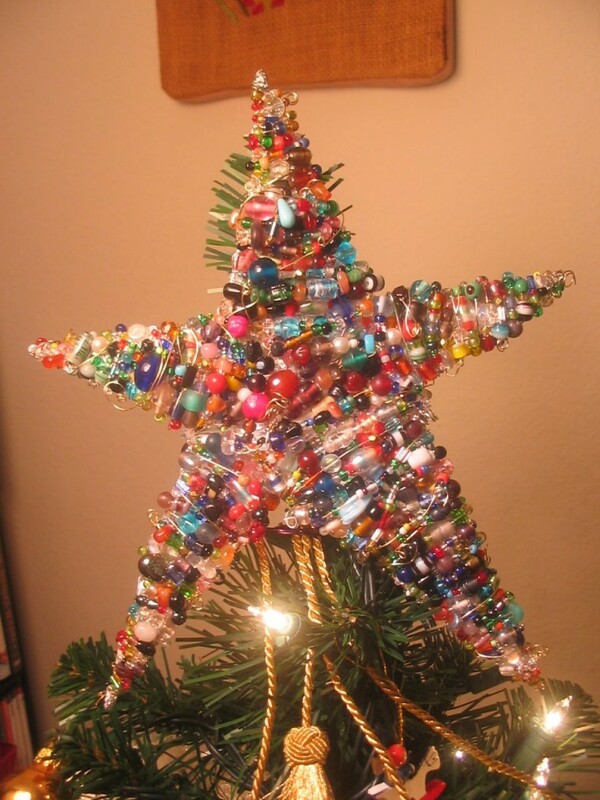 Assorted jewelry stones and all sorts of colorful pebbles is the only ingredient that you would require to make this adorable jelly look star. 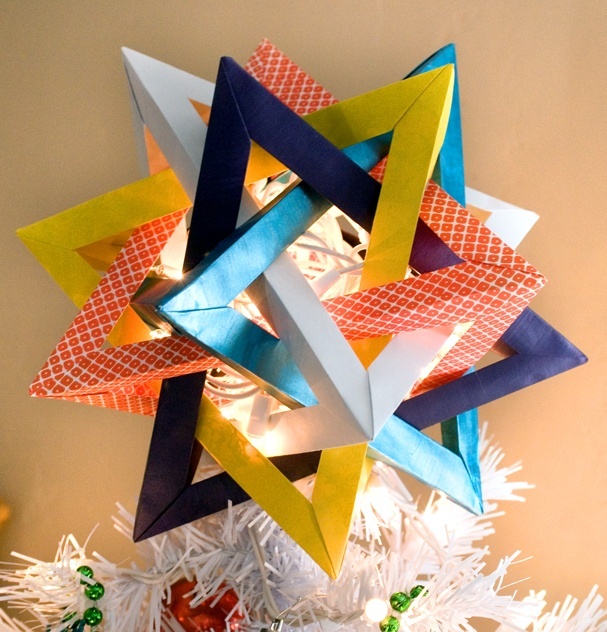 Colorful scrapbook papers cut into this star shaped heart touching, delightful masterpiece is one of a very easy way to decorate your Christmas tree top. Ancient yet authentic vintage look is something that is very much the modern trend. Try this and make others appreciate your idea. Different and unique. Try this! you might not need to repent. 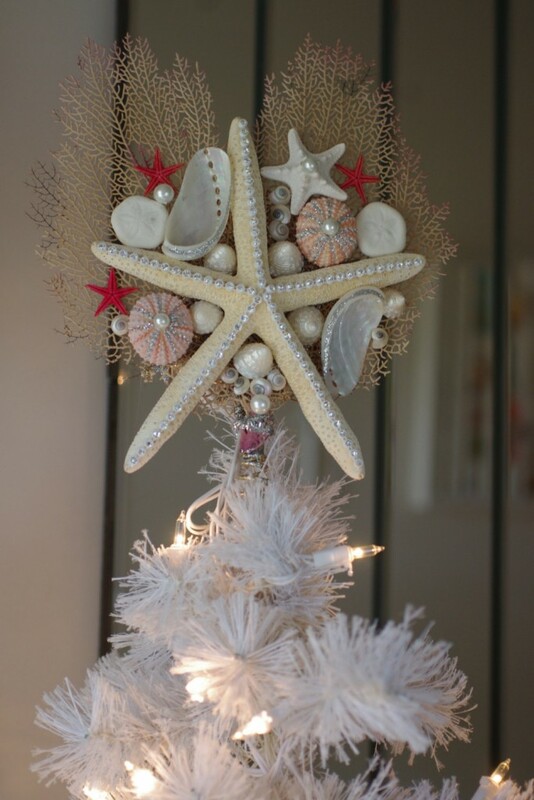 Let the sweetness of corals and the calmness of shells fill the house with this unique yet extraordinary tree top decor. Keep it royal and classy with this crown. 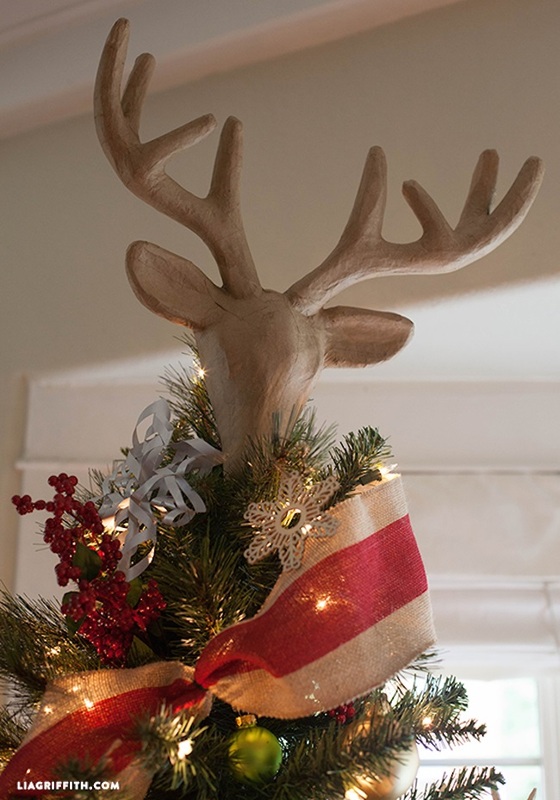 The reindeer in wood can be the best to suit the occasion. 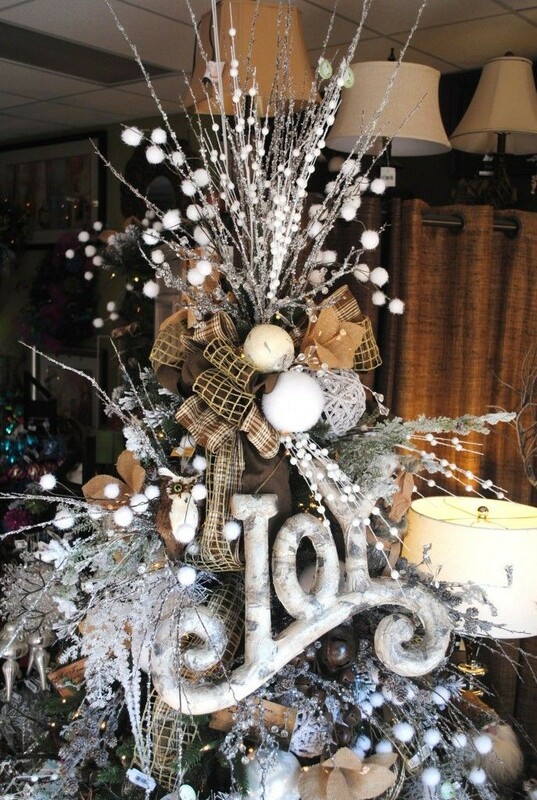 Try this unique wooden decor and enchant all. 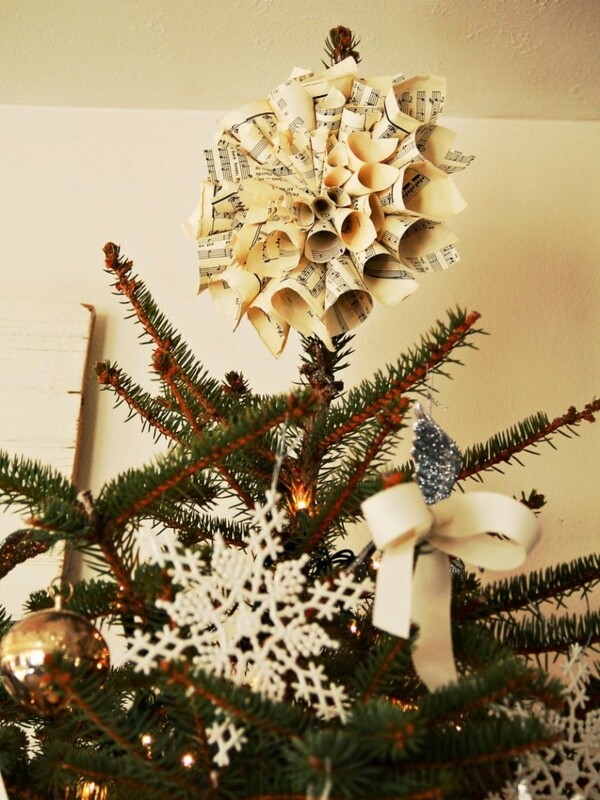 This is crazy, yet this is a very posh idea to work as a tree top decor. 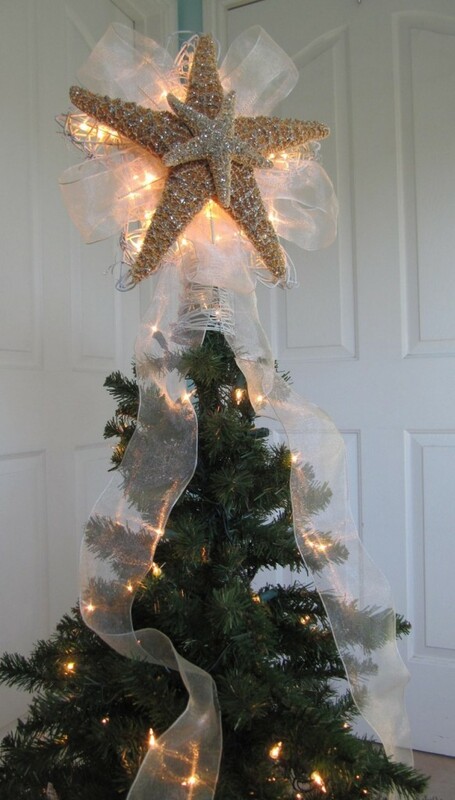 Star is a necessity and this unique way of using starfish look as a star is extremely brilliant and nice to go as a decor. 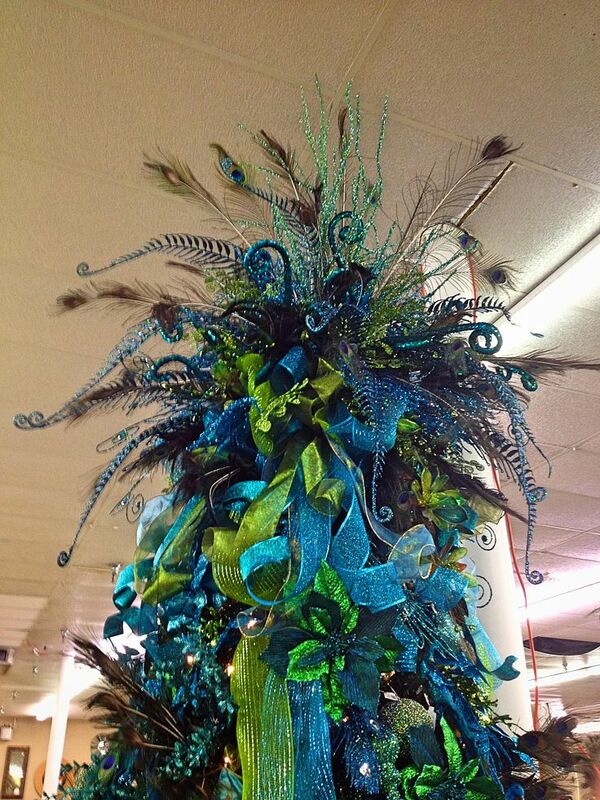 Turquoise is an excellent color and it goes very well when combined in green Use these colors and the peacock feathers to adorn the Christmas tree. It is the season when there are snowfall as many places. 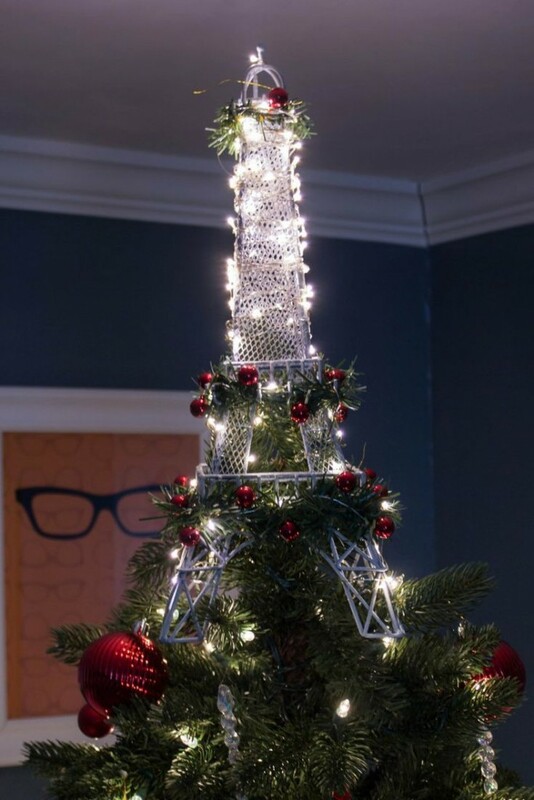 Use the same idea and decorate your Christmas tree. 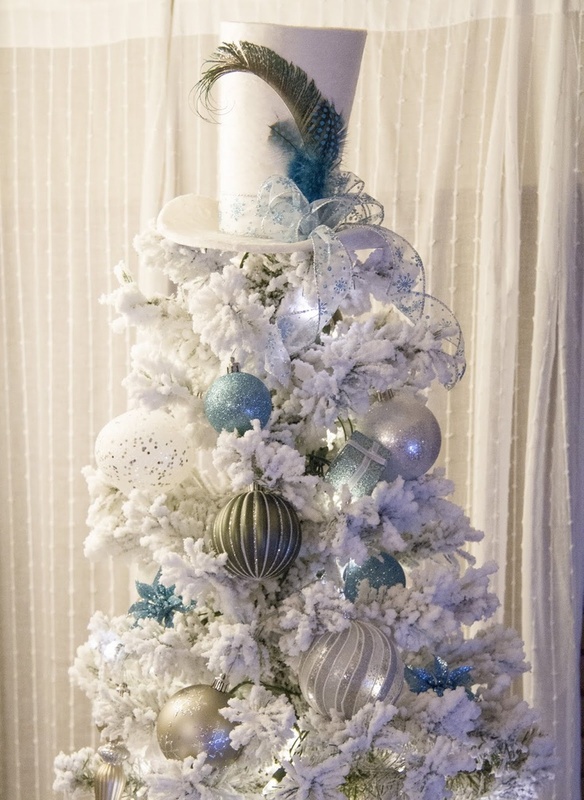 Highly graceful and sophisticated, this hat tree top decor is sure to capture the hearts of people who love and understand art. 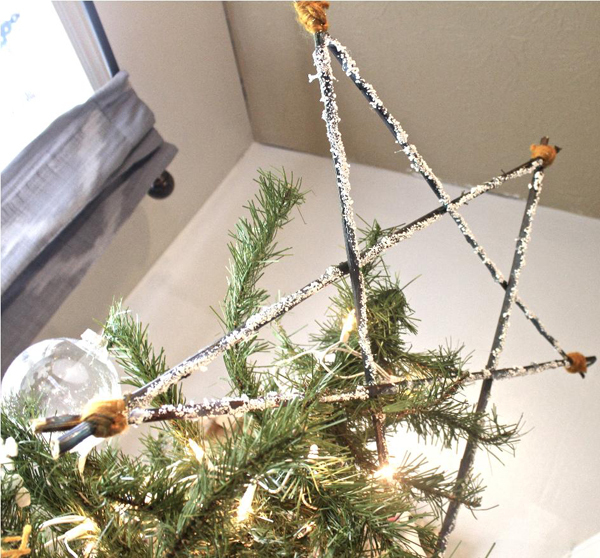 Use the twigs to make a star and put it on the top of your Christmas tree. 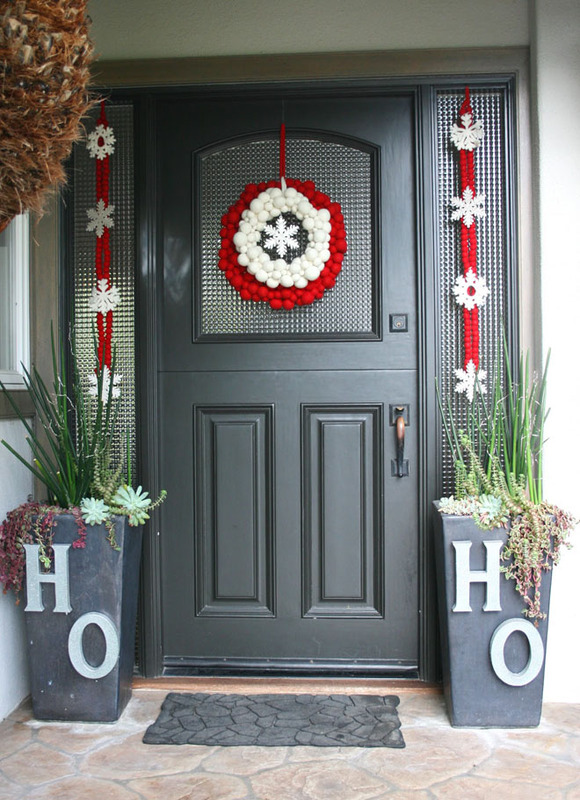 Let the decoration flow. Masks and aliens is the new theme then. Use this idea of you are a horror freak and so are your relatives. Or else….God bless you! A very good way to gel art and idea. 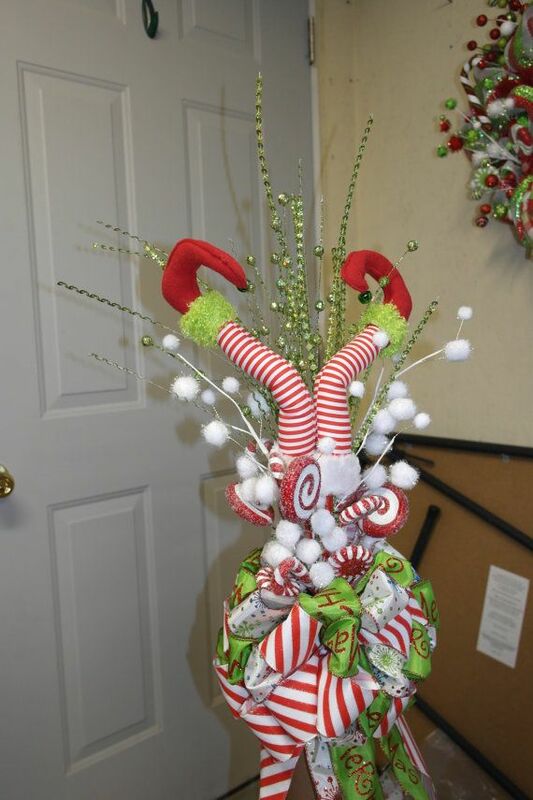 Try this unique way of decoration and win hearts of many. 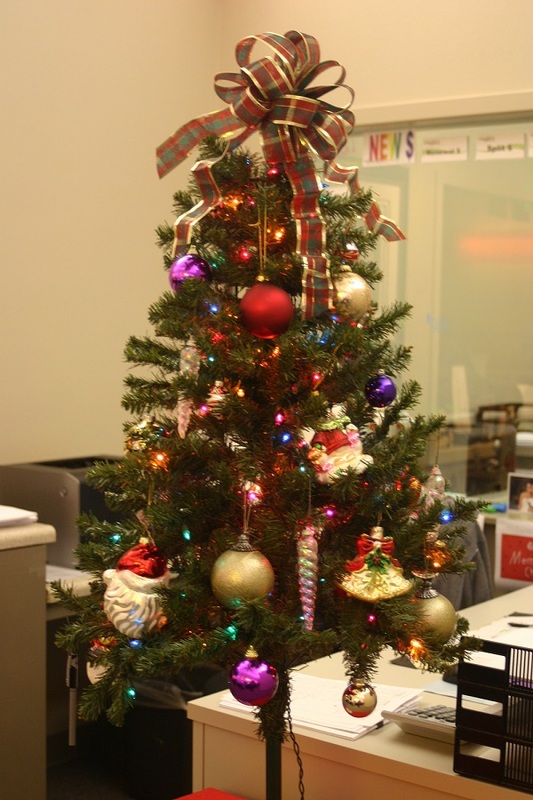 If its for your workplace, then keep it simple. Use this fine ribbons and make it look good. 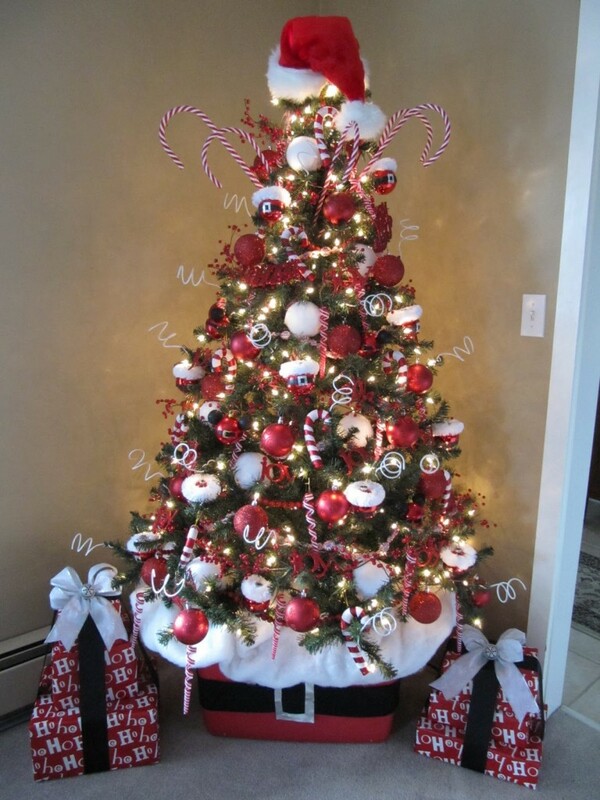 A charming and lovely way to adorn the Christmas tree of your house and make the grace of the Lord be bestowed on you. 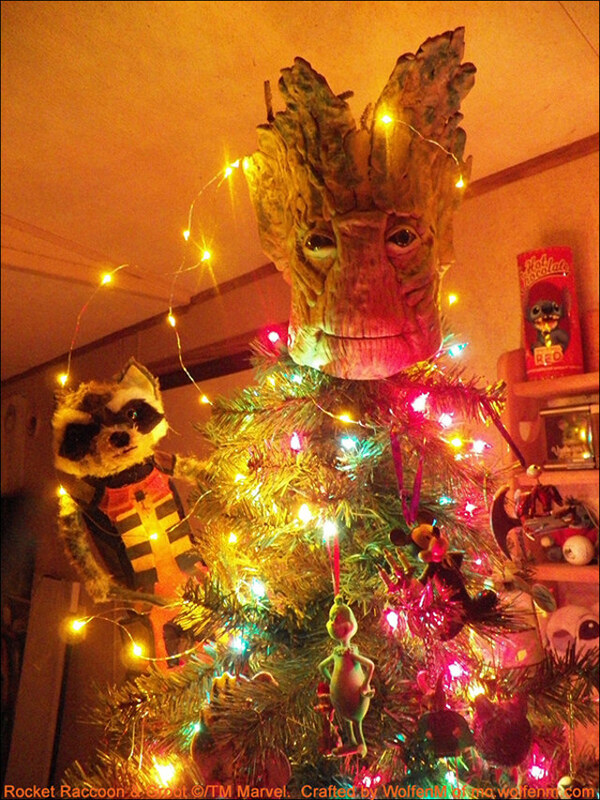 This is a kid-prone way of decorating the tree top. This will make your young visitors extremely delightful. When the white hat has shown its grace, how could the red hat be left behind. Let it glow and enhance your decoration to another limit. Yummmm! 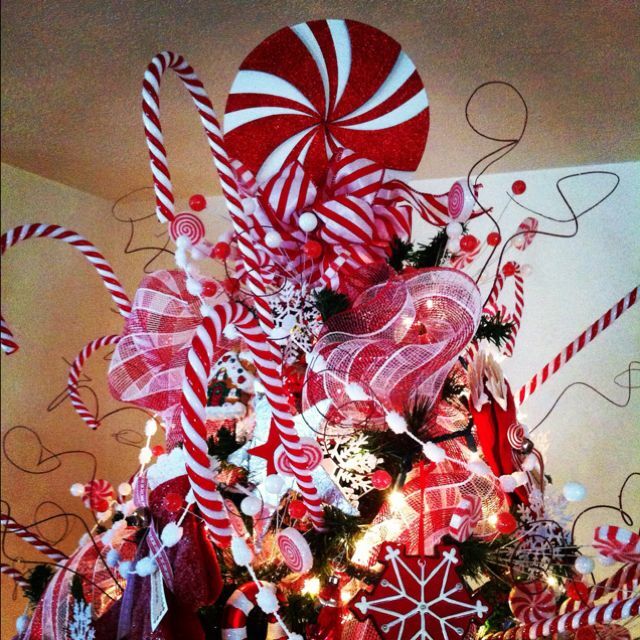 When its candy on the top, how could it not win the hearts of all. 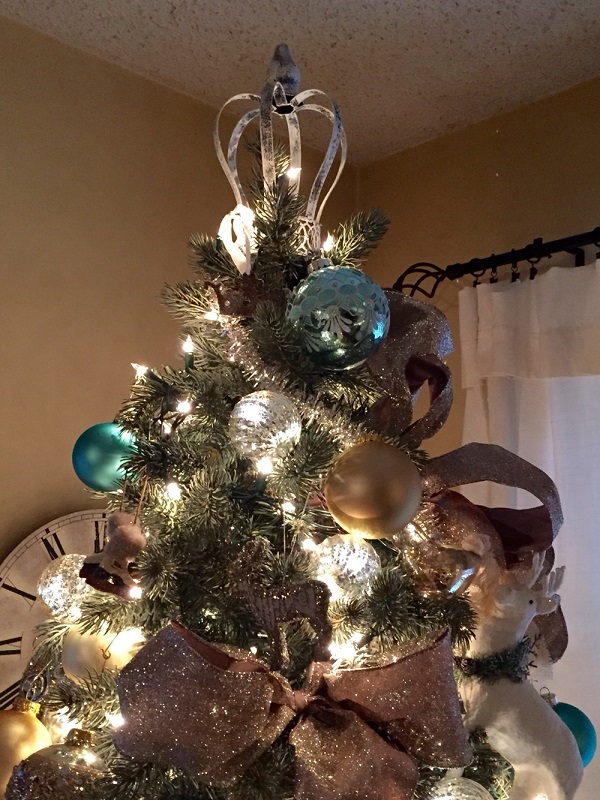 This is the most overwhelming tree top decor that will be loved by all.